There are just three things to remember, but do keep in mind that safety comes first. Before any cleaning or disassembling, first turn off the power to your unit. Never pour water on the indoor unit to clean it, avoid using harsh chemicals or solvents, and be especially careful when cleaning metal edges that may be sharp and could cause injury if handled improperly. 1. Clean the main indoor unit (or units) and remote control. Wipe each clean using a soft, dry cloth. For more stubborn dirt, moisten a cloth in warm water, wring it out thoroughly, and wipe gently. The air intake grille can be removed in order to wash it with water. Clean the grille using a soft sponge or rag and wipe away any remaining moisture. There’s not a specific time schedule for this step. You may prefer to do it as part of your regular house cleaning, filter cleaning or even when you just start to notice some dust. 2. Clean the filters on each indoor unit. This should be done once a month with a vacuum cleaner for light dust or a gentle washing for stickier debris. Just wash the filter in lukewarm water, rinse it in clean water and pat or let it air dry. If there is a lot of buildup, some soaking could be necessary. 3. Keep the outdoor condenser clear. Be sure to remove any fallen leaves or other debris that could block the internal components. You could use a leaf blower on a gentle setting or simply brush debris away with your hand or a broom. Easy, right? But if you don’t feel like taking any of this on yourself or would like to schedule a more thorough annual cleaning of the internal coil and other components of your outdoor unit, just give us a call and we can help. 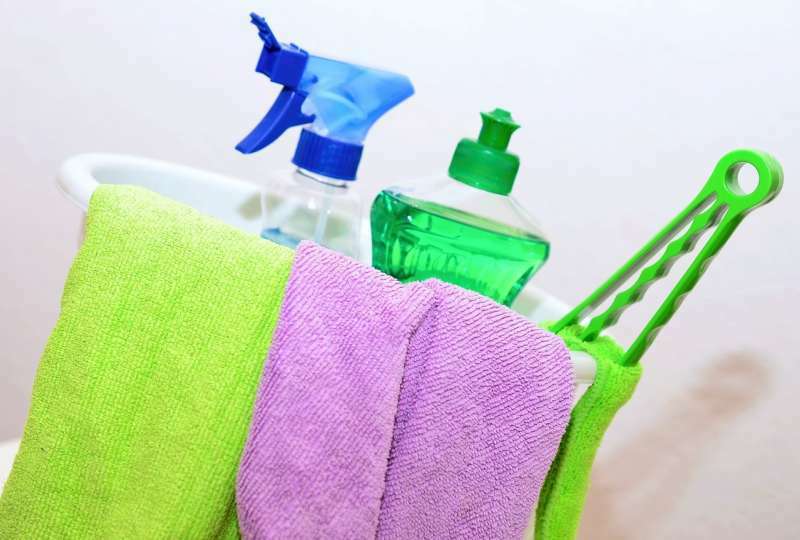 By following these simple steps and keeping things clean, you can help your system last 20 years or more!